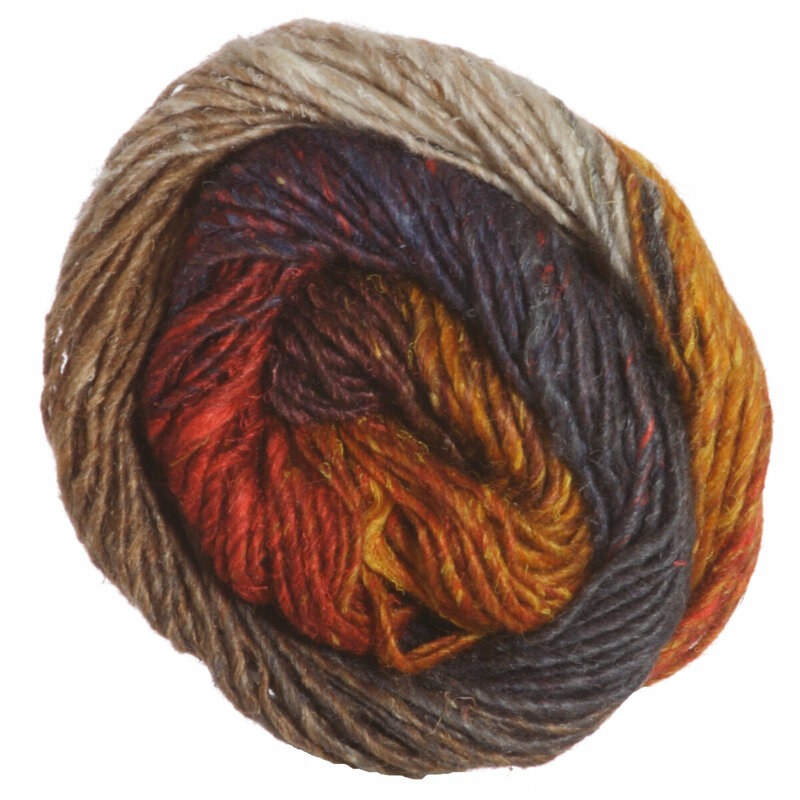 Hand-dyed silk, mohair, and wool blend with incredible self-striping colors!! Eisaku Noro's artistry in blending colors and fibers remains unsurpassed. Wearing a garment created with Noro yarn is like wearing a work of art. Noro Kureyon Yarn is a similar yarn: heavy worsted/aran (16-18 sts/4 in), 50 gram, and 110 yards. You may also like Rowan Kid Classic Yarn, which is another similar yarn: heavy worsted/aran (16-18 sts/4 in), 4.5 sts / inch, 50 gram, on size 8 US needles. What about yarn that have the same look and feel? Find more yarn that is organic fiber, a thick and thin texture, and knots. You may enjoy taking a look at the Noro Silk Garden Feather & Fan Lace Blanket, Noro Silk Garden Entrelac Blanket, Noro Silk Garden Intarsia Cowl, and Madelinetosh Tosh Merino Light Nakia's Infinity Scarf kits all using Noro Silk Garden Yarn. 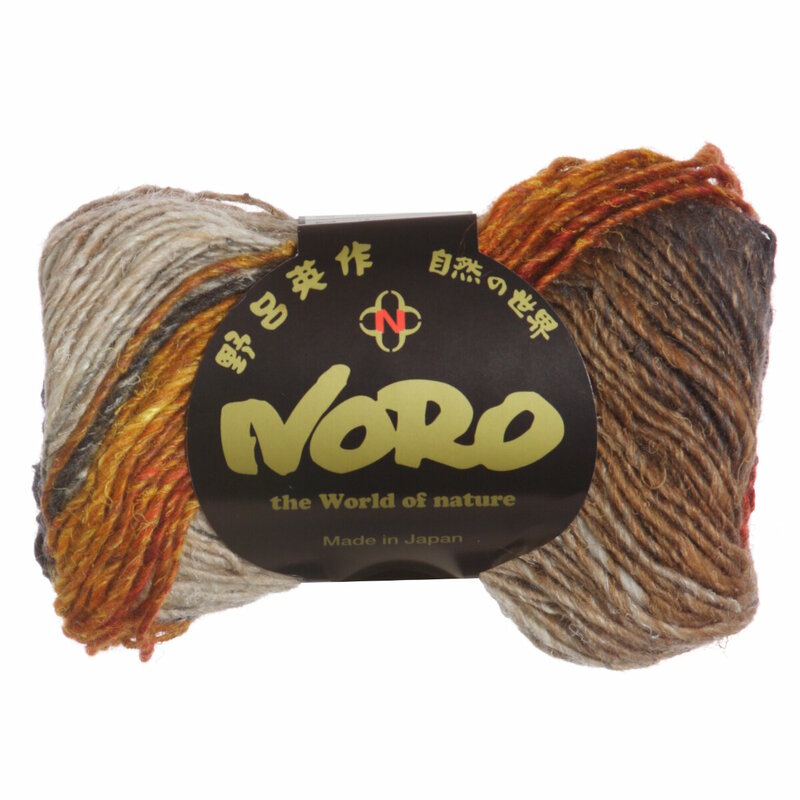 Hopefully our suggested project ideas for Noro Silk Garden Yarn can help you come up with your next exciting new project idea!